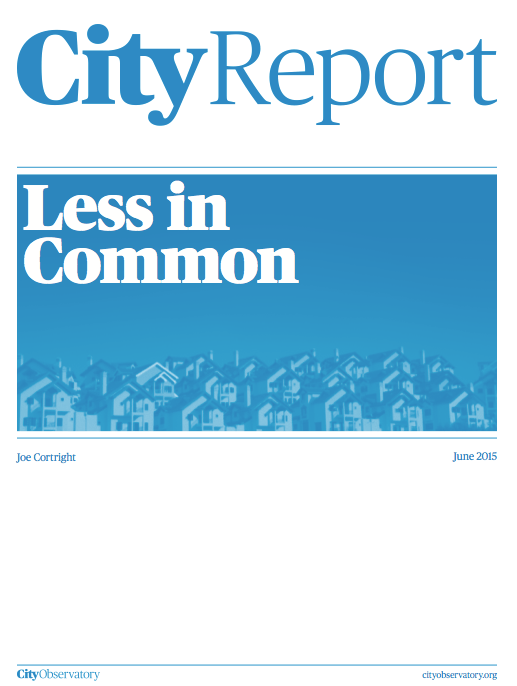 Why we wrote “Less in Common,” our latest CityReport. The latest research from Raj Chetty, Nathan Hendren, and their colleagues, reinforces the critical role of place-based social ties in shaping the economic opportunities of the poor. They found that metro areas with high levels of racial and economic segregation—a key correlate of declining social capital—also had far lower rates of economic mobility for the children of the poor. The stakes are high. In the pursuit of overall economic well-being and widespread opportunity for success, social capital in cities is critical. Less in Common explores the ways in which the social fabric—the network of connections that tie us together in communities—has become generally thinner and more frayed over the past several decades. In assembling this report, we purposely set out to be eclectic both in our scope and in the kinds of data and indicators we assembled. Here you’ll find measures of everything from stated social trust, to the numbers of security guards, to the numbers of library books we borrow, to the numbers of swimming pools and farmers markets in our neighborhoods. Unlike Gross Domestic Product, measures of social capital don’t have a single common denominator that enable them to easily be summed and compared. Many, if not all, of these trends play out in cities, and have profound implications for city success. While there are some counter-currents, the overall pattern of change is an ominous one. Stated trust is declining. Income segregation is increasing. We are more isolated individually, and our governments and civic institutions are more fragmented and balkanized. We spend less time in the shared public spaces that are open to people different from ourselves. There is compelling evidence that the connective tissue that binds us together in cities is coming apart. As we’ve spent more time in isolation and less time socializing with our neighbors, participation in the civic commons has suffered. Rebuilding social capital in America will require innovative approaches to spur community engagement. How do we reinvigorate the civic commons? While some solutions may be national in scope, many of the best opportunities for strengthening social capital will be in individual neighborhoods. There’s no single-minded policy solution that can accomplish the task alone — no –whether infrastructure improvement, human capital investment, regulation or deregulation, tax or tax break –that can easily or comprehensively address the problem. There are many facets to this issue and consequently many dimensions along which we can pursue solutions. 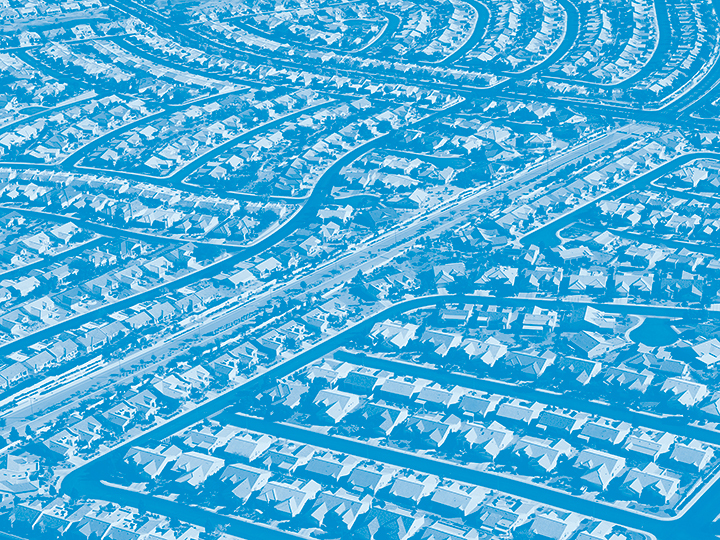 We offer Less in Common as a rough portrait of some of the trends that have been playing out, and as one contribution to the discussion about how we can strengthen and rebuild social capital in our neighborhoods, our cities and our nation. We look forward to the conversation.